In the heart of the popular beach town of Pattaya is this waterfront property – Hotel Selection. From here, you are within walking distance of several popular attractions like Ripleys, the Bottle Art Museum, Alcazar, and Tiffany Shows. For shopping, there is the Central Department Store. Water sports is an absolute must as well with activities from parasailing and diving to island hopping all covered. After a day of fun in the sun, you are sure to appreciate the spa facilities back at the resort. In addition to that, a fitness center and swimming pool ensures that guests never have to miss a workout when on holiday. The contemporary and the very conveniently located Hotel Selection Pattaya is sure to impress all. 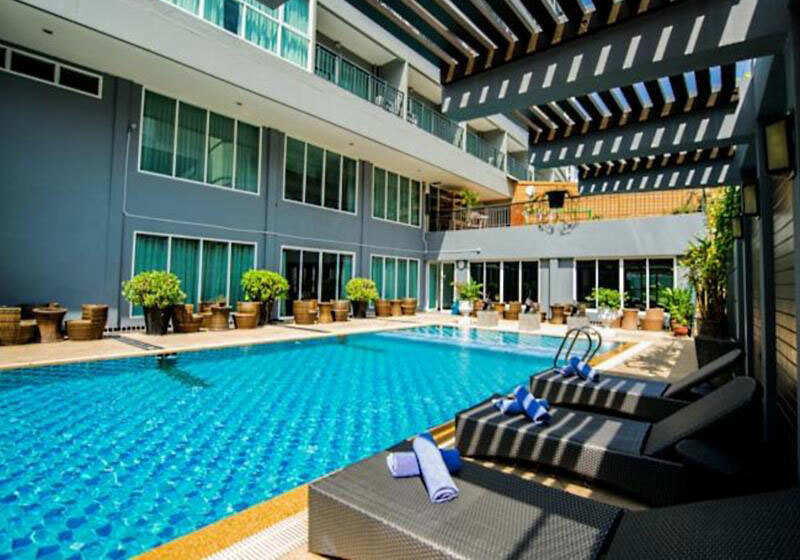 Short Description: In the heart of the popular beach town of Pattaya is this waterfront property - Hotel Selection. From here, you are within walking distance of several popular attractions like Ripleys, the Bottle Art Museum, Alcazar, and Tiffany Shows. For shopping, there is the Central Department Store.